In greek mythology, the muses were the inspirational goddesses of science and the arts believed to be the source of poetry, songs, and myths passed down for centuries. We believe the muses are still with us, in the form of women in the arts everywhere that continue to offer us new expressions as they share their unique gifts with the world. 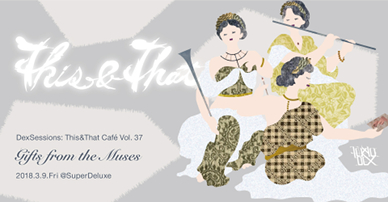 In commemoration of International Women’s Day, this month TokyoDex shines a light on modern-day muses through a very special #tntcafe focusing on female creators. Come join us and be inspired! 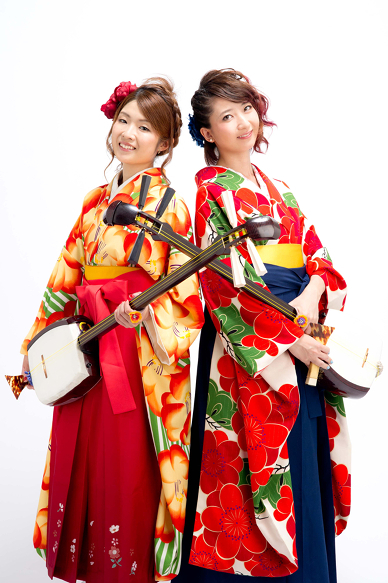 Formed by Hikari Shirafuji and Kanami Takeda in 2008, Ki&Ki (KiKi) is a true Japanese Tsugaru Shamisen Duo based in Tokyo, Japan. They are known across Japan as top-tier players who have both taken the top spot in nation-wide and international shamisen competitions. The music performed by Ki&Ki is a mix of Japanese traditional Minyo songs, traditional Tsugaru songs, and their own blend of modern yet powerfully traditional songs. Every song they write aims to showcase the power of the tsugaru shamisen, while expressing a certain level of feminine delicacy. Anna Pingina (aka Pingy) is a Russian born singer, songwriter, and producer now living and creating in Tokyo.Previously acclaimed as a musical theater performer for principal roles in major international theatrical productions (Notre Dame de Paris, Jesus Christ Superstar, West Side Story), Anna launched her solo career with a debut album “Moy” (Mine) in 2010. Anna is a frequent and desired performer at a broad range of festivals, both in Russia and beyond, including Park Live Festival, Dikaya Myata (Wild Mint), Nashestvie (Russia’s biggest rock festival), Usadba-Jazz, Mir Sibiri (World of Siberia), Kurarock Festival in Finland, The Russian Weeks in Egypt and more. 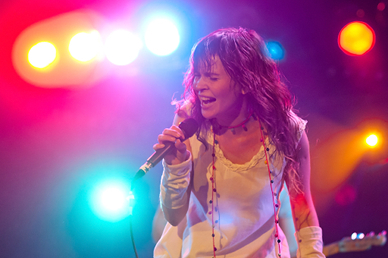 Since her debut performance in Tokyo in June 2016, Anna has been collaborating with Japanese musicians and, in addition to regular live performances. 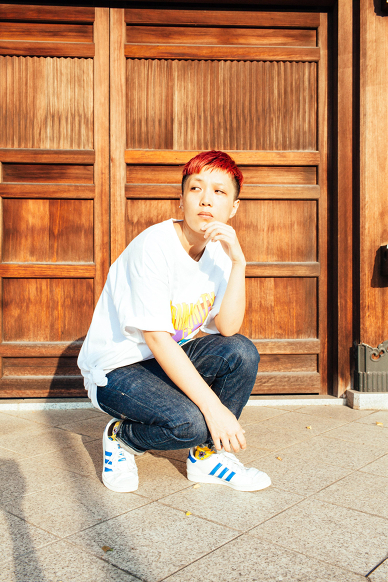 Amiide, a lead singer of the hiphop group CIRRRCLE, brings R&B-meets-hiphop style music to Tokyo scene. Her first solo project “Before You Kiss/Why Not Fly” with Mat Jr. (tokyovitamin) will be released on 2/21. ReikoKamiyama is a painting artist who lives every day as if she were on a trip, absorbing what she sees and pouring it into her paintings. Everything she sees, hears and feels is taken in and turned into color. Her experience of moving several times in her early childhood may have led her to love of traveling light-heartedly, falling into a state of excitement that made her feel that everything she encountered was speaking to her. Through her journeys, she realized if she were to sustain this mindset where ever she went, her life itself would become a landscape of her journeys. Since then, she has driven herself to view all things through the same filter to train her artist’s eye. 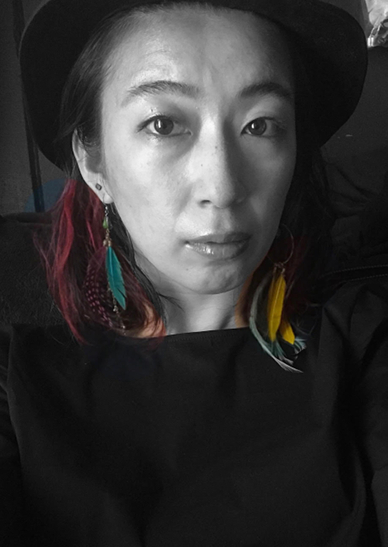 A city known for music, Reiko grew up in Koriyama City in Fukushima Prefecture where she was part of an orchestra and experienced many connections with music in her life, making the relation between color and sound a crucial theme in her work. 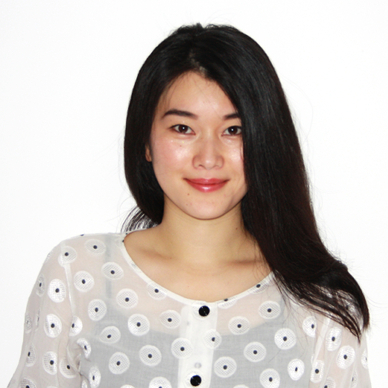 Born in 1985, artist Eriko Kawai hails from Tokyo. She graduated from the University of the Arts London, with a Masters in Fine Art and mainly exhibits video, sculptural, and painting work. She showed her performance piece ’17morae’ at the Tate Modern in London, 2017. She has shown at various exhibitions both locally and overseas, including her sculptural work ‘Words that weren’t conveyed’, at the Setouchi Triennale. This&That Cafe is a periodic event open to the public in which artists from all genres and backgrounds donate their time and talents in the spirt of sharing. It is a place where music and visual arts meld in unexpected collaborations. A forum for artists from afar to meet with local luminaries amidst the dense and eclectic pool of talent in Tokyo. A venue to gather, exchange ideas, share artistic inclinations and wax poetic in a causal community of old friends and new acquaintances. Come early to get a seat and take advantage of the fetching fare on the SuperDeluxe menu, or just pop in for a drink on your way home from work. All are welcome. If you have an idea for a future This & That Cafe event, please drop a line to <thisnthat@tokyodex.com>. We look forward to hearing from musicians, DJ, visual artists et al looking for a new and exciting venue for their expressions.